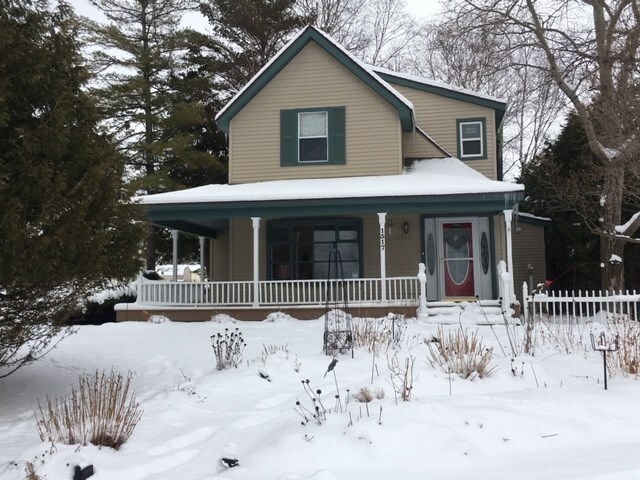 This in town home is an older farm house that was remodeled, rewired, plumbed, & new windows which started back in 2001. New furnace with central air installed 2012. New roof approx. 7 years ago. Sidewalk with front yard landscaping 4 years ago with lots of perennials. Each bedroom has its own name and style. Hickory wood floors in living room and dining area. Barn (20x28) remains on the property for storage only. Walking distance to Sheridan School and NCMC college. Owner takes great pride in this home and it shows. Large deck in back for entertaining and a covered front porch to sit and listen to the birds. (Owners have a great sense of humor so you might notice some of their decorations in door ways are various creatures but don`t worry, they won`t bite)..